Articles for September 2014 Year » SoftLab-Portable.com - Portable Soft! 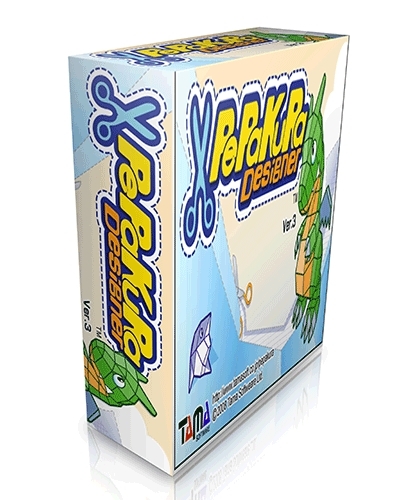 Pepakura Designer is a program developed in Japan for making unfolded 2D patterns from the 3D models. Because the operation is very simple, you can make patterns easily. Then you can edit the pattern as you like. Pepakura Designer makes it easy to design original papercraft patterns by importing 3D model data. No special knowledge is required for making papercraft patterns. All you have to do is prepare the 3D model. 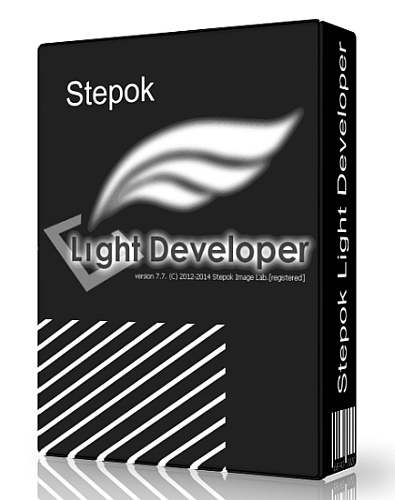 You may use some 3DCG software released from other developers to make the 3D models for unfolding. Not only can a pattern created by Pepakura Designer be printed and saved as 2D image, but you can also share it with other people. The dedicated viewer, Pepakura Viewer, is available from Pepakura Designer's official web site freely. Now you can enjoy designing your own papercraft. The 3D models that you design with 3D CG software, can be put out into the real world from the digital world using Pepakura Designer. Fun Face Master is a fun photo edit software. You can use it to replace face on any body. Just 3 clicks, you can put the Superman face replaced with your face. Or let your turned into Soldiers, Knight, Nuns, Mona lisa, Astronaut, President etc. The software include more than 200 high quality funny templates, or you can use the Mask Edit Tools to create your own template. Create a joke photo to shake your friends now! 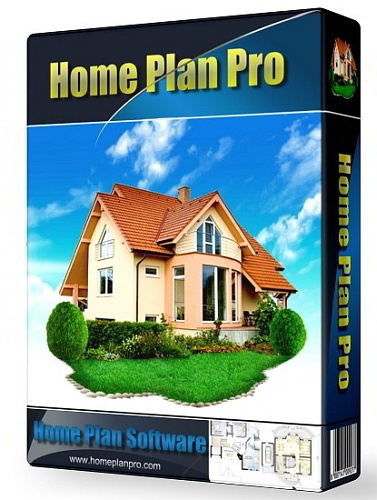 Home Plan Pro is designed to quickly and easily draw straightforward designs. It features a built-in fax driver, multiple drawing layers, metric or USA measurements, dozens of fill patterns, and hundreds of resizable figures. 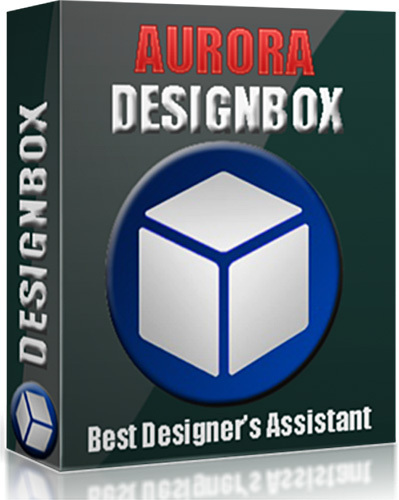 Aurora Design Box Designer often open a lot of tools for some simple operate at work. Feel annoying? 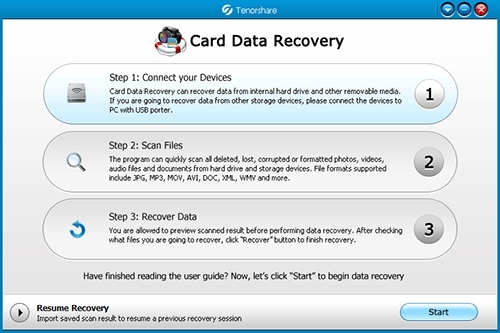 Want to reverse it? The DesignBox will be your best choice. You can change image effects, batch resize, rotate, mix a watermark, convert format, make GIF animation, create iOS icon, Generate QR code and draw your shape as you want. 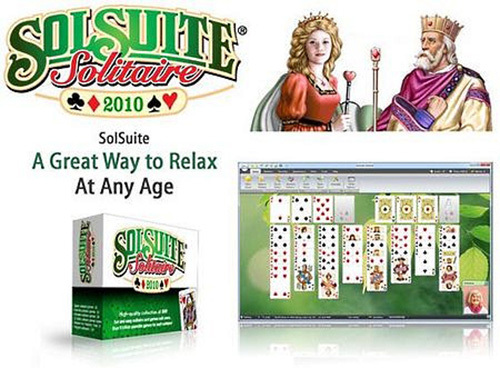 All tools in one Software. Almeza MultiSet - Leader in Unattended Installation of Windows and Software! Want to create a WindowsXP installation disk that will automatically install the OS Windows without asking questions about username, product key, time and locale settings? At the same time your favorite applications are automatically installed, the necessary keys are entered into the registry, drivers are updated, new patches (service packs) from Microsoft are installed. It's possible and you can do it easily with Almeza MultiSet! Almeza MultiSet will automatically install all the applications you require, either onto your original computer or onto a new one. 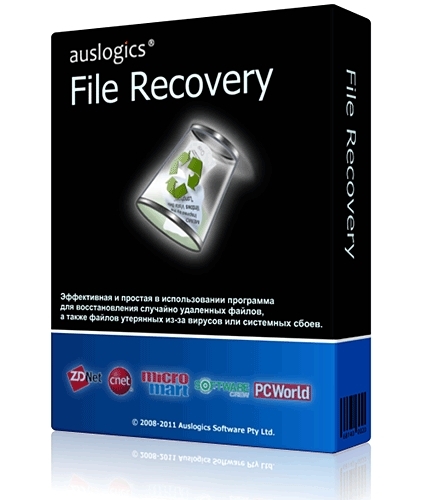 It's an ideal solution for rebuilding your systems quickly! Exportizer is a free database export tool. 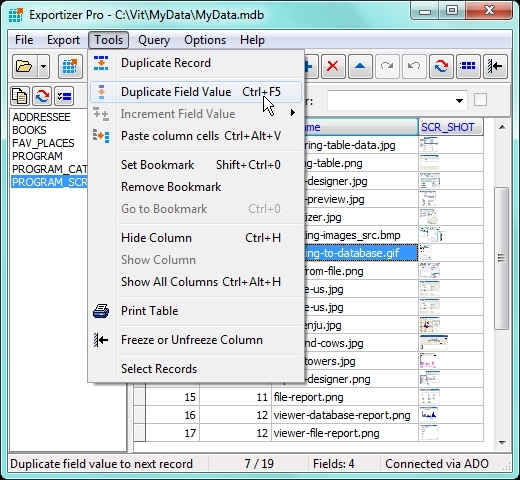 It allows to export data to file, clipboard, or printer. Exportizer works via BDE or ADO. It can convert DB, DBF, text, CSV to text, CSV, XLS, RTF, XML, HTML, DBF, INSERT statements. Many export options ensure full control over output. There is an ability to specify the source-to-target field mappings. Export operations can be performed either via the program interface or via command line with large number of parameters. You can easily generate needed command line directly from the GUI. It is possible to copy data to clipboard or print them. There are several utility functions for data manipulating and bookmarking. 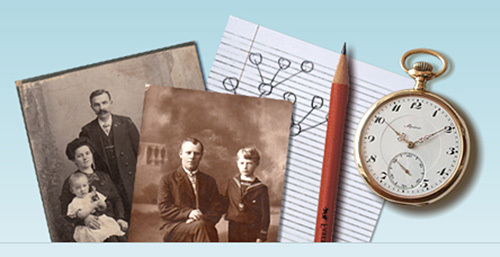 Agelong Tree is a functional program for building and printing family trees, for saving and displaying information on relatives and events in their lives. Thanks to its convenient layout and wide capabilities, Agelong Tree can be used by beginners and professionals.